What can we tell from the dry leaves? - The size used to be smaller. Nowadays, more leaves are harvested together, on one stem. This makes the dry Oolong look more like high mountain Oolong. 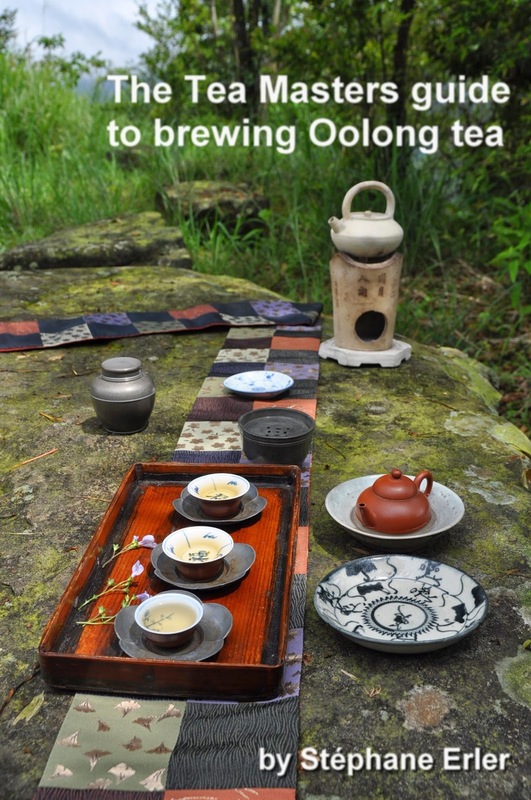 This represents a paradigm shift in the way consumers look at Oolong. Before, small was considered better, because this implied more buds, leaves that are more tender, more concentration. There were no stems also, like for competition Oolong. 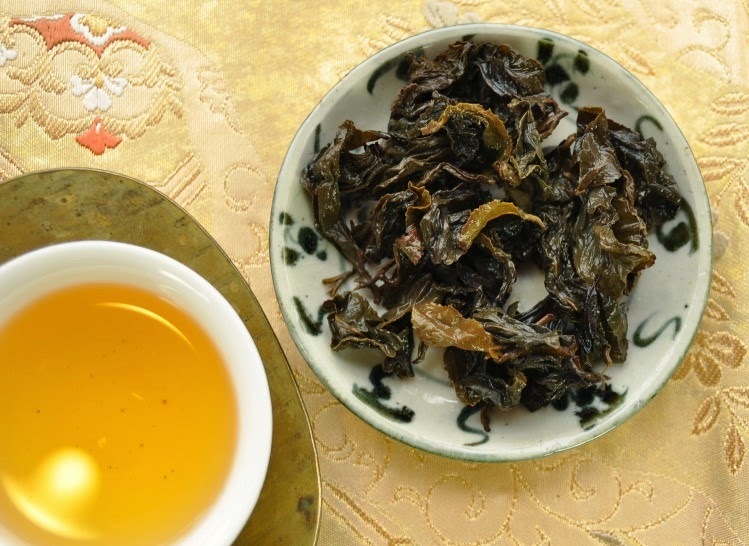 But with the rise of high mountain Oolong, a big leaf size is now associated with high altitude and high altitude with quality. 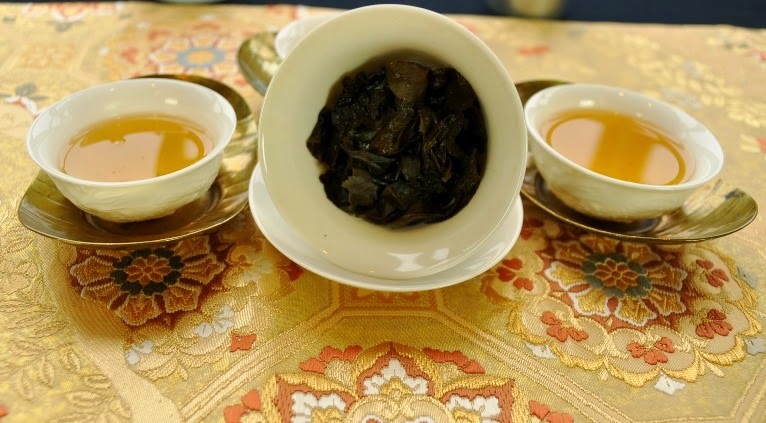 - The color of the old Oolong is slightly brown, whereas the young Hung Shui actually looks darker with its dark green color. This is the normal color of naturally aged Hung Shui. - The 1999 leaves are unfurling a little bit, while the 2014 leaves are tightly rolled. This is another sign that this Oolong is genuinely old. The scents are fruity, malty, woody and sweet. Lots of layers, but it retains a good purity. The dark orange/golden brew has a very good clarity and shine. How is the taste when the leaves are brewed for a long period of time? 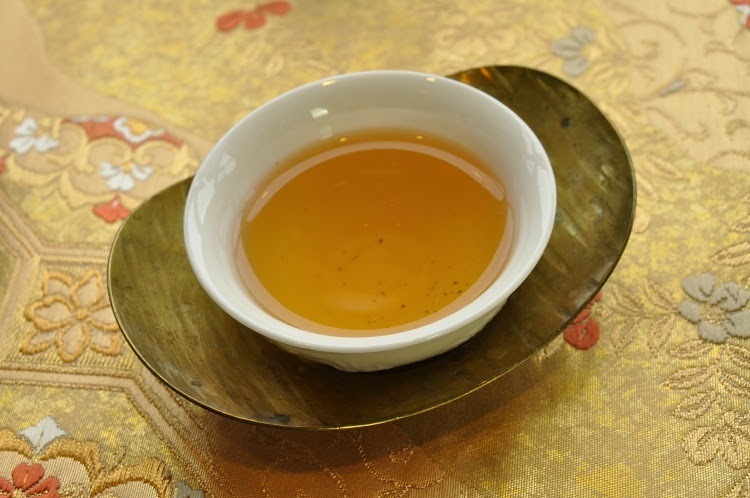 It has some Wuyi suan (a kind of fruity astringency), lots of sweetness and also some iron taste. The aftertaste is very, very, very long. The remaining taste in the mouth is clean. There's a nice salivation on the side of the mouth and a comfortable feeling in the throat. And since it's starting to get cold now, I'm preheating the cups again while the leaves are brewing. 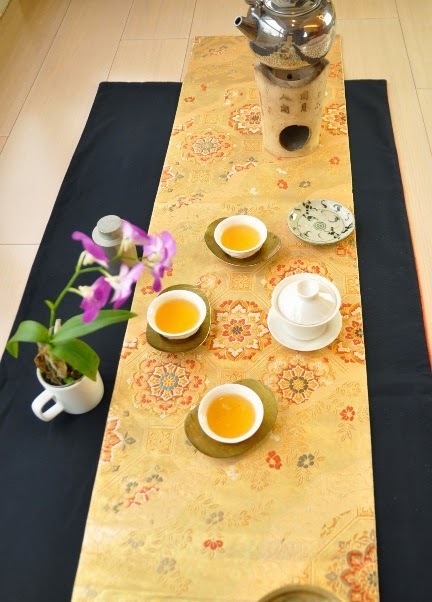 I've mentioned it on Twitter a few days ago: the golden colors of this Chaxi (the obi, the copper chatuo, the copper jianshui, the brew) take their inspiration from Klimt's Kiss! 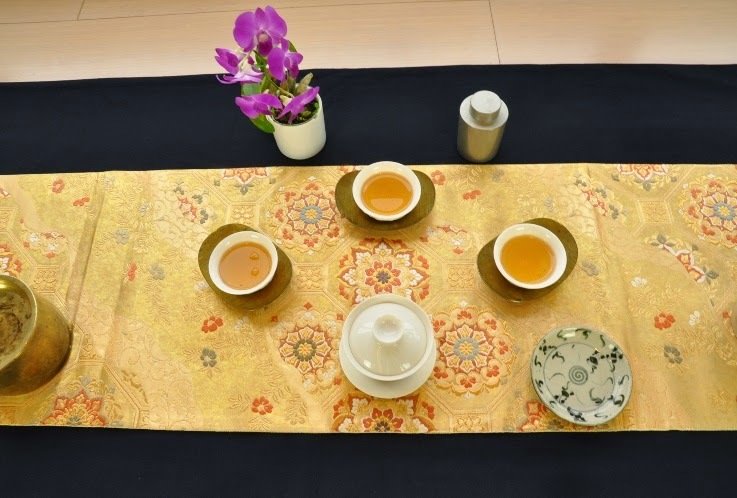 Having such a high quality aged Oolong in this setting feels like living a time of opulence and extravagance. 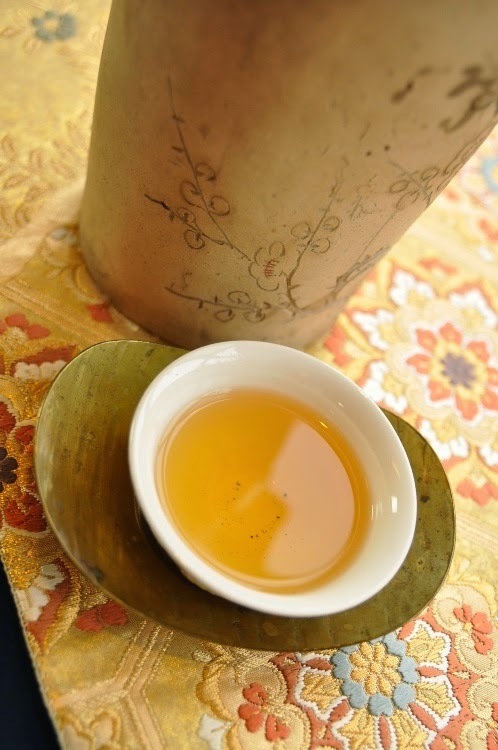 And indeed, the pleasure of well aged Oolong is one that only very few seek and find nowadays. And the powerful aftertaste of this tea feels like a kiss! The stronger the brew, the more it feels like a 'French kiss'! It goes deep and you feel happy. 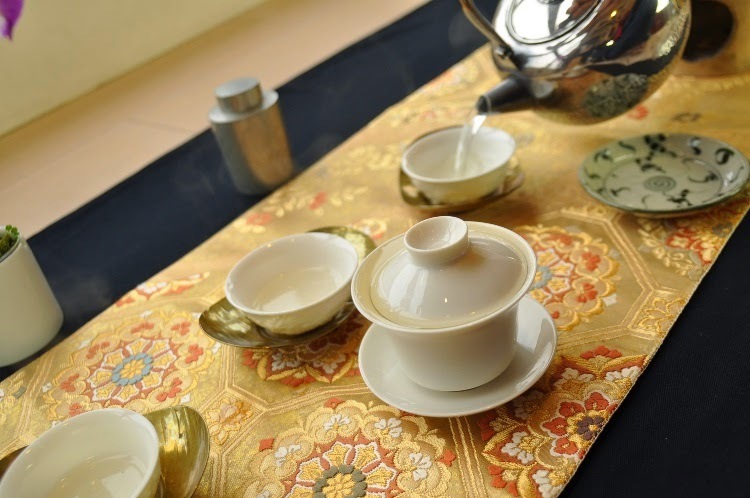 A successful brewing means that the leaves have opened so well that they occupy all the gaiwan. 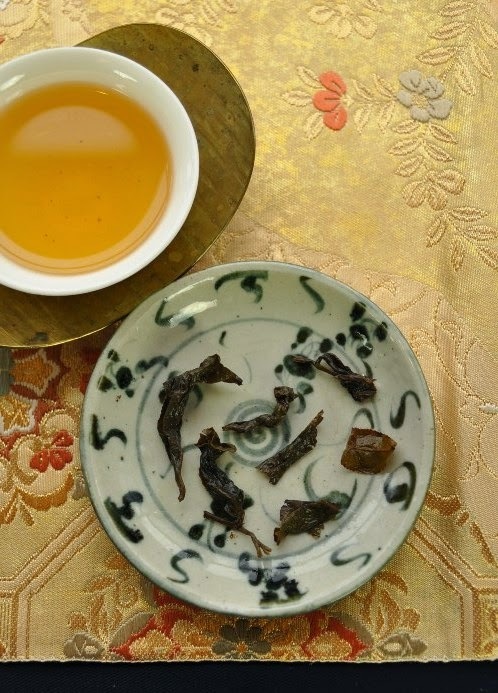 On the picture above, you can see that even when I move the gaiwan by 90 degrees, the leaves still stay in the same position. The leaves unfurl well and are still green inside. 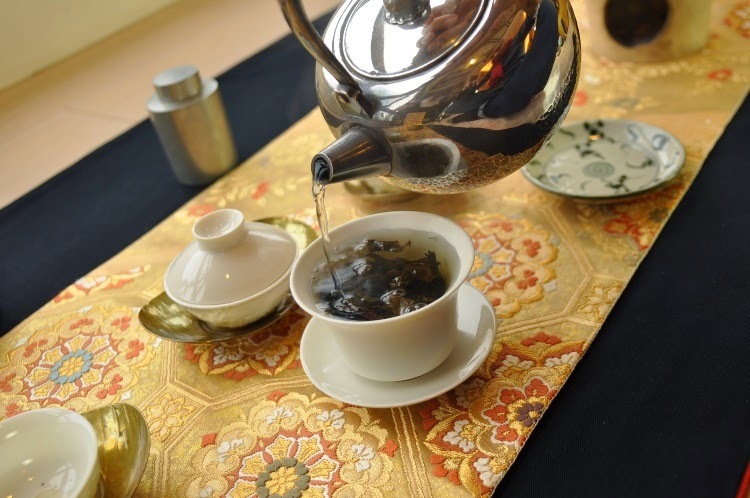 It's a tea that tastes younger and younger as the brews add on. We can see now that the leaves are mostly single, not held together by a stem. That's why they look smaller than the 2014 version. 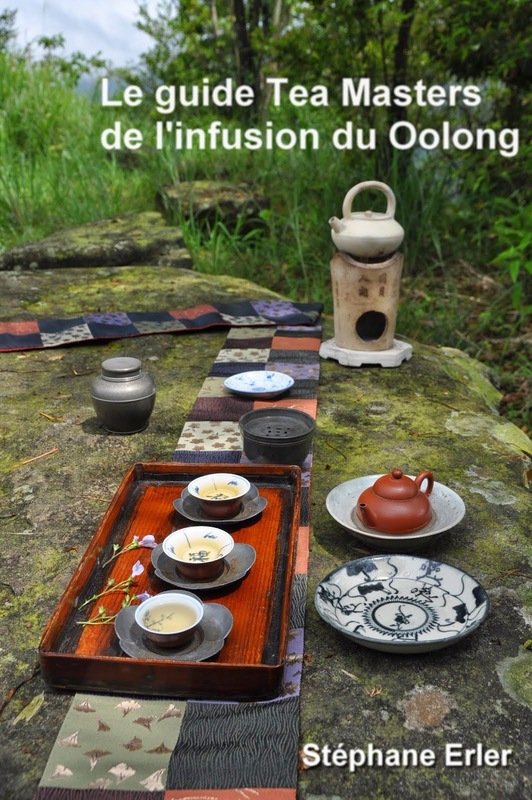 I have also tested this tea with a zhuni and a zisha teapot. 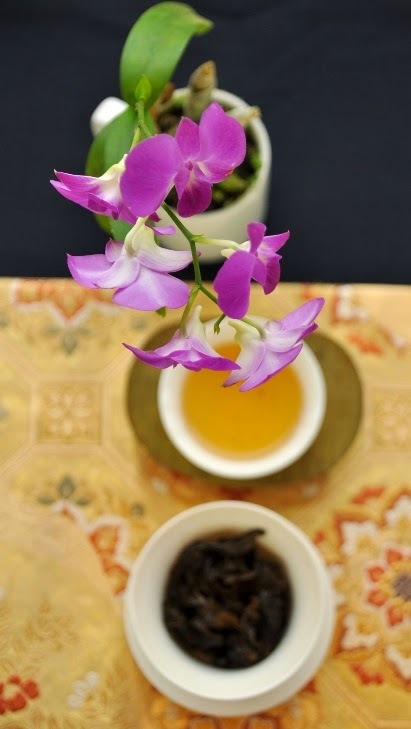 The zhuni expressed more its energy, fruitiness and youth. 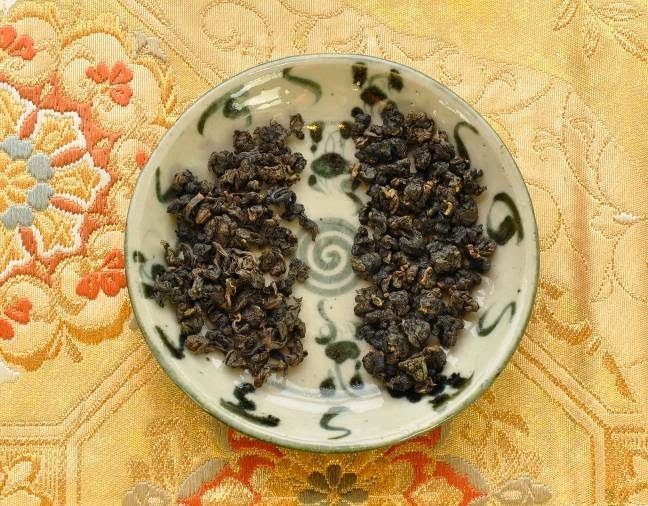 The zisha expressed more its deep, dark and smooth old flavors. The porcelain gaiwan is somewhere in the middle. 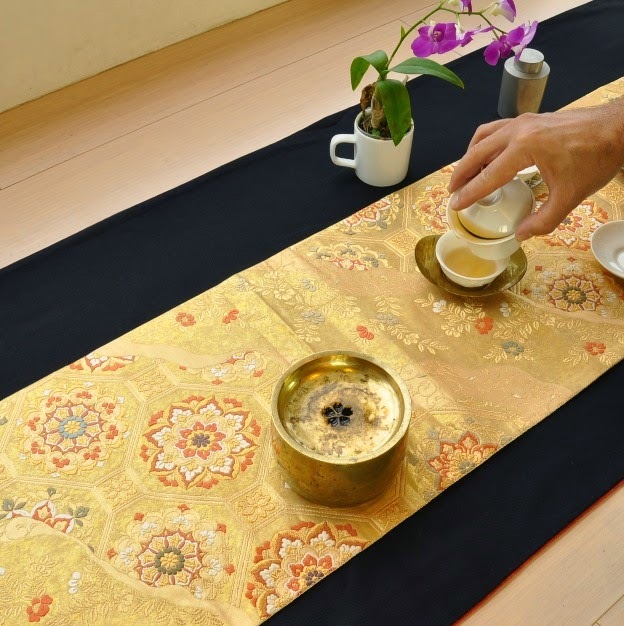 With all their complexity, the way the leaves are prepared will have a great impact on how the tea will taste. My preference goes to the passionate French Kiss!